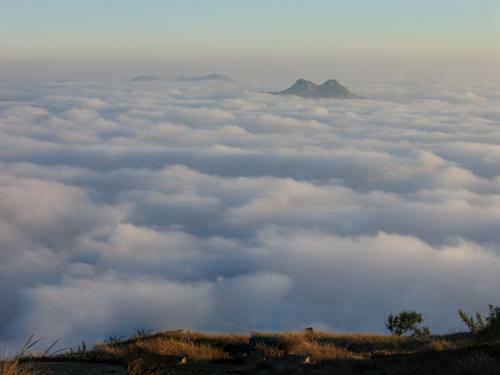 Skandagiri, also known as Kalavara Durga, is a mountain fortress located approximately 70 km from Bangalore city, and 3 km from Chikballapur in the Indian state of Karnataka. 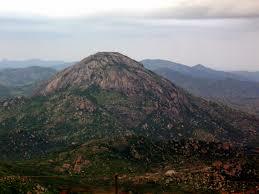 It is off Bellary Road (National Highway 7 Hyderabad-Bangalore Highway), and overlooks Nandi Hills and Muddenahalli. 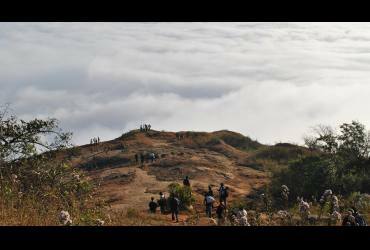 The peak is at an altitude of about 1350 meters.